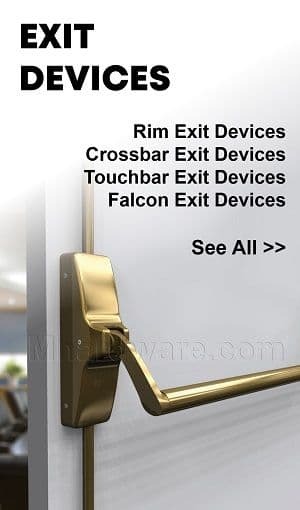 Selecting an Automatic Door Bottom (or ADB) can seem a bit daunting, as there are so many to choose from; however, with a little knowledge of the different options beforehand, and clear application dimensions, the process can be quite simple. 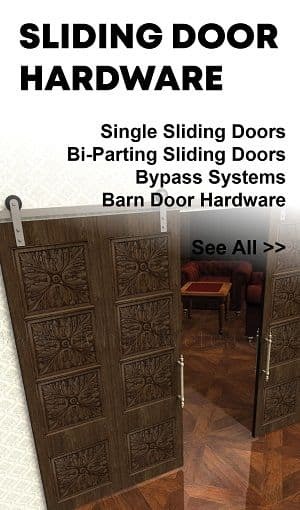 The first thing to realize is the benefits of choosing an ADB over a regular door sweep. 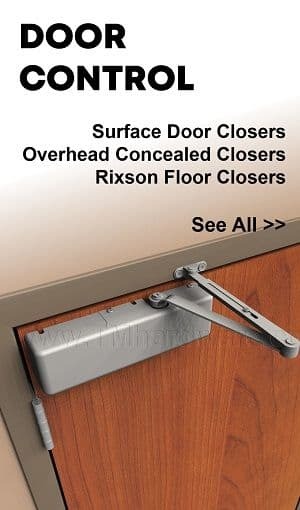 The most obvious advantage is the seal only being dropped when the door is in the closed position. 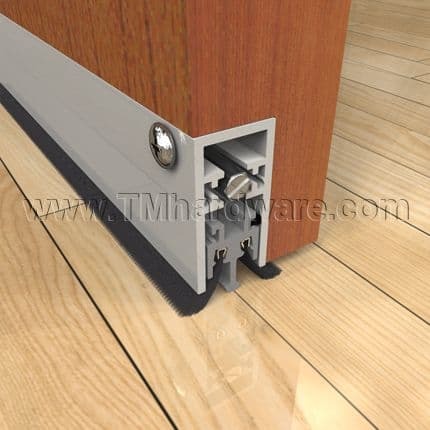 This allows for a tight seal as the rubber actually pushes down onto the floor, it also prevents the seal from dragging along the floor during the closing cycle; thereby, protecting your floor surface, and preventing the seal from wearing out quickly. The second advantage is the width of the seal. 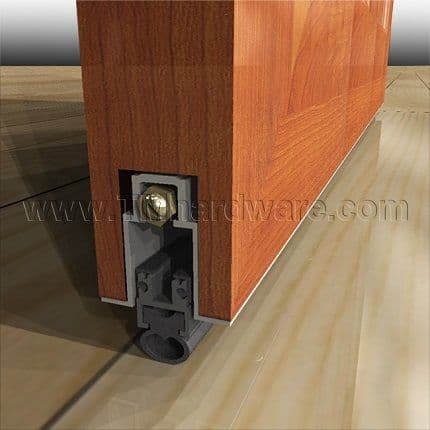 The case of an ADB tends to be larger than a regular sweep, allowing for a thicker seal which provides better protection. 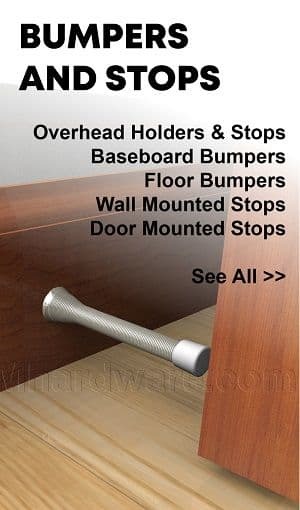 Semi Mortised- Screwed in a groove in the face of the door. The ADB is flush with the face of the door. Fully Mortised- Screwed into a groove cut out in the bottom rail of the door. 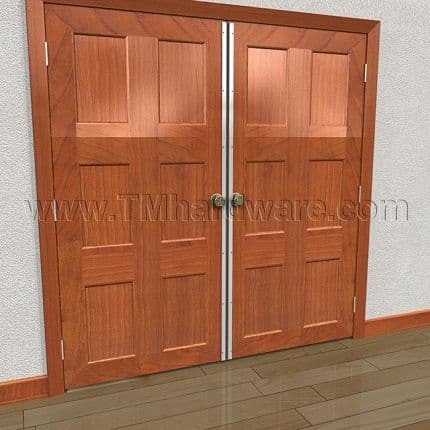 The ADB is hidden and does not affect appearance of door. 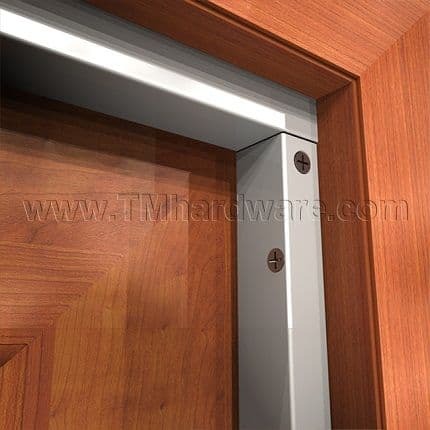 In both mortised applications, the ADB becomes an integral part of the door. 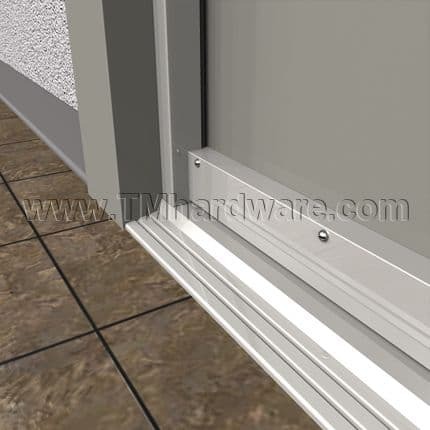 Mortised and Semi Mortised ADBs will provide better seals than Surface Mounted ADBs as they cover the complete width of the door. However, due to the complexity of installation surface mounted ADB’s are the product of choice for most applications. There are various types of rubber seals used as inserts for ADB’s; Silicone, Neoprene, and PemkoPrene™ to name a few. To better understand the different conditions each rubber is best suited for, visit our Understanding Rubber Seals page. 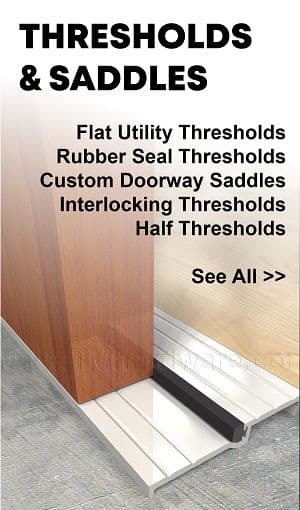 A Brush Seal can also be used, but they primarily block dust, light and drafts and should not be relied upon for soundproofing a door. To ensure you order the correct size, you must first take a few measurements. 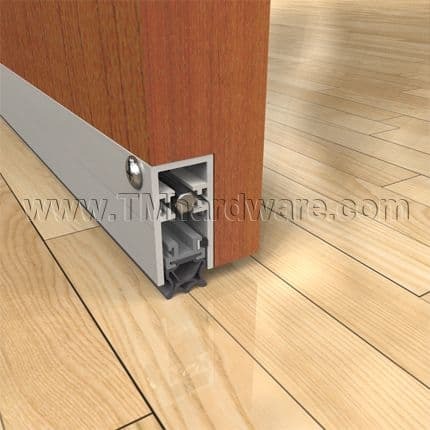 Gap: First, how large is the clearance under the door that you would like to fill? This will help you determine how far down you need the seal to be capable of dropping. 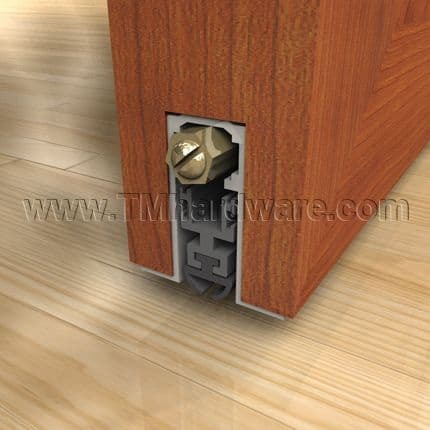 We always recommend getting a seal with a larger max drop than the actual clearance under the door. Width: Second, what width do you need? 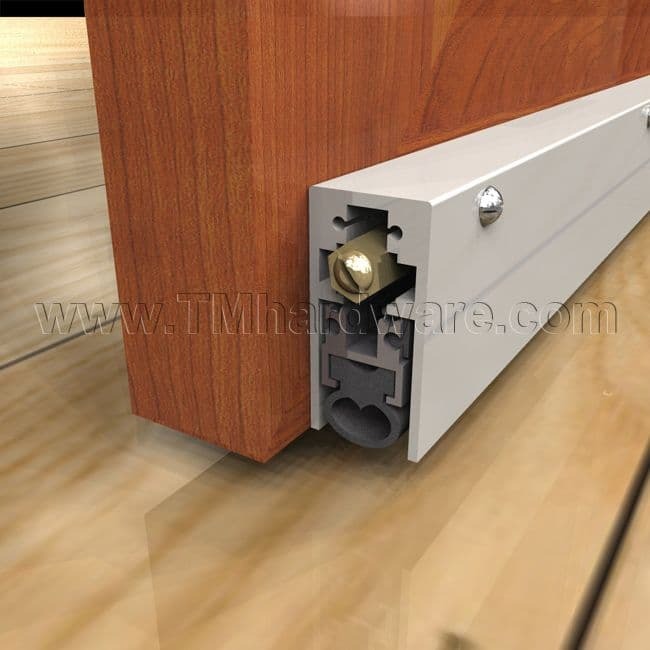 If purchasing a Mortised model, you need to measure the actual width of the door, as the ADB will become integrated with the door. If purchasing a Surface Mounted ADB, you need to measure from stop molding to stop molding, as this is where the ADB will be situated when the door is in the closed position. For a more detailed guide, see How to Measure for an ADB. 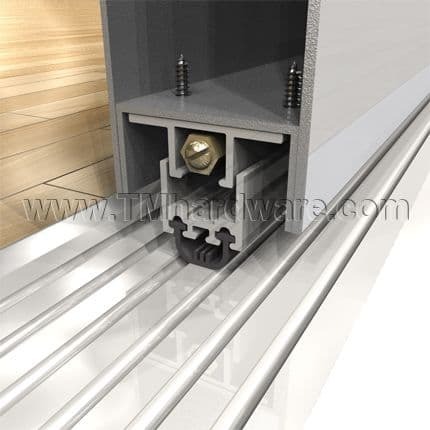 Many of our Automatic Door Bottoms can be applied directly above the floor surface, however, for a superior seal, a Doorway Threshold is recommended. 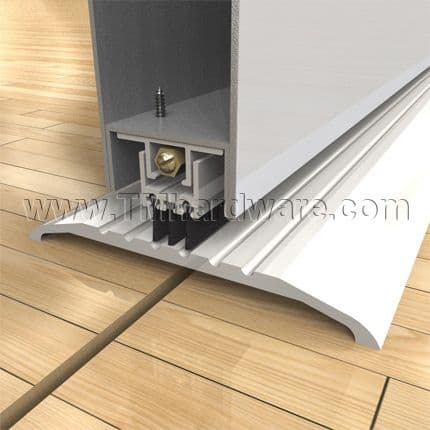 A Flat Utility Threshold can be used, and for an additional seal, a Rubber Seal Threshold is recommended. 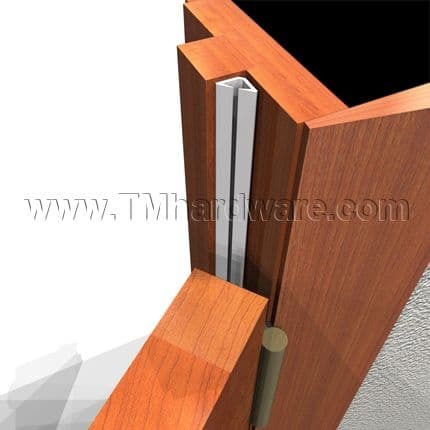 Click here to view our entire collection of high quality Doorway Thresholds. 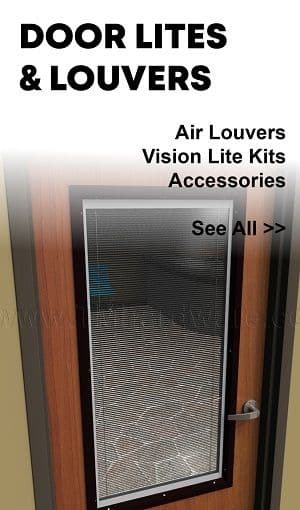 All of our Automatic Door Bottoms can be installed onto a wooden door, however a select number of products are designed specifically for Hollow Metal Doors with a built in channel on the bottom. 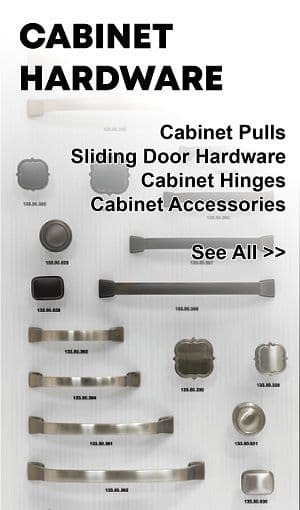 If a metal door option is required, search under ‘For Metal Doors’ in our categories, or select the link above. If the purpose of your ADB is to seal different weather conditions or to maintain temperatures and/or humidity, e.g. in a wine cellar, then you should consider our Double Seal Heavy Duty ADB (Z369). Since the outer seal is applied along the interior of the casing (as opposed to just the bottom of the casing), it will seal the entire casing when the seal is dropped. 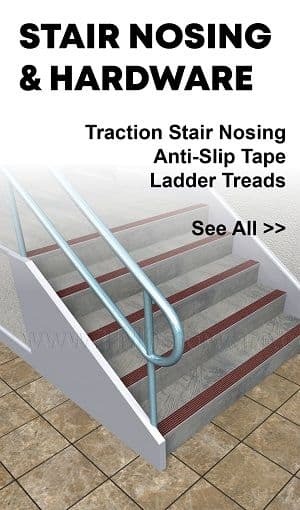 We recommend not having a gap larger than ½” when using this ADB. 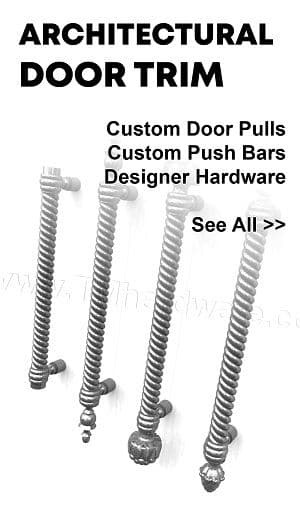 You can also choose a Single Bulb Heavy Duty ADB (Z364) or Sponge Neoprene Seal Heavy Duty ADB (Z360) to get the job done provided that the gap you are trying to seal is not larger than ⅜”. 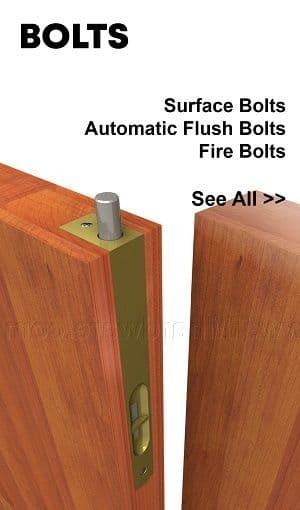 If you are purchasing an ADB to block sound from leaking under your door, then depending on the noise source, budget, and application your choices are as follows. 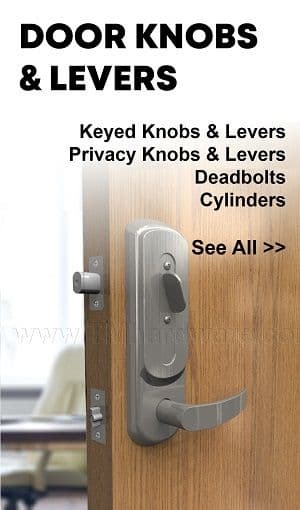 Residential: When sealing your dining room or bedroom door from standard household noises, usually a Basic ADB such as Z350, Z351 or Z352 will suffice. Home Theaters, Confidential Office Environments: When a higher level of sound control is required, we recommend you use a Heavy Duty ADB with Neoprene Bulb, such as Z364, Z365 or Z366. Recording Studios: For the ultimate in soundproofing, as in recording studios, voice overs etc., we recommend using our Double Seal Heavy Duty ADB, such as Z367, Z368 or Z369. 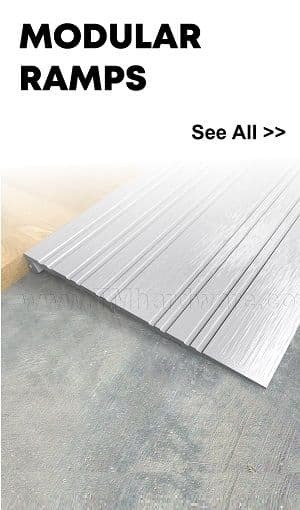 The above recommendations are for ADB’s that we have found to be solid and reliable; however, all ADBs on our site are architectural grade, and will provide adequate protection. 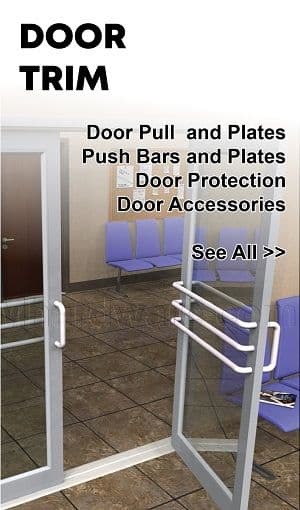 Click here to view our entire collection of Automatic Door Bottoms. 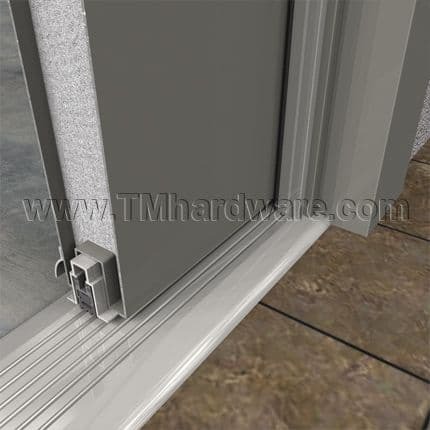 Keep in mind that an Automatic Door Bottom is only one aspect of creating properly sealed doors. 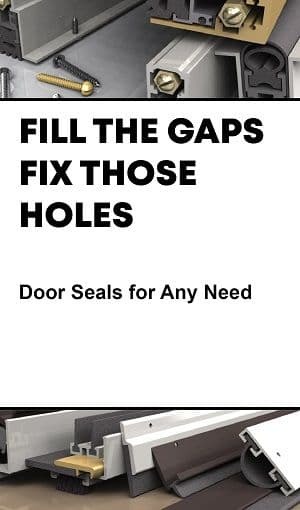 You will also need Door Gaskets or Weatherstripping for the Jambs and Header, a Meeting Stile for Double Doors, a Doorway Threshold and a solid heavy door as well. 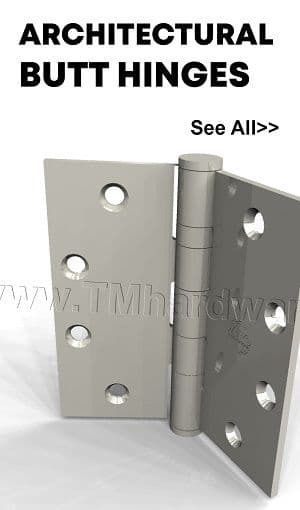 Whatever you’re looking for, at Trademark Hardware you’re sure to find the perfect, high quality product for your application.